Create Vintage Valentines that will make any heart swoon. Use colorful ruched crate paper with vintage trims and embellishments. Tinseled and glittered trims line larger paper hearts with the loveliest Valentine patterns. 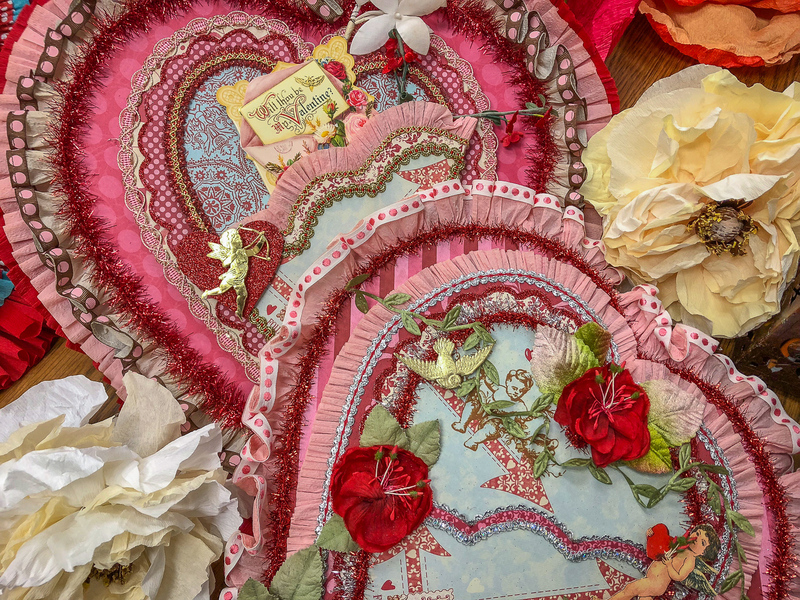 Vintage embellishments include velvet flowers, glittered hearts and cupids, golden arrows, and vintage Valentine postcards. Hung with elegant ribbon to ensure these large tiered valentines spread love to all of your valentines. Each participant will need to bring their own hot glue gun and pack of hot glue sticks.